Hookedblog recently caught up with London street artists A.CE and artist Tim Head at work on a new project in Hackney, East London. 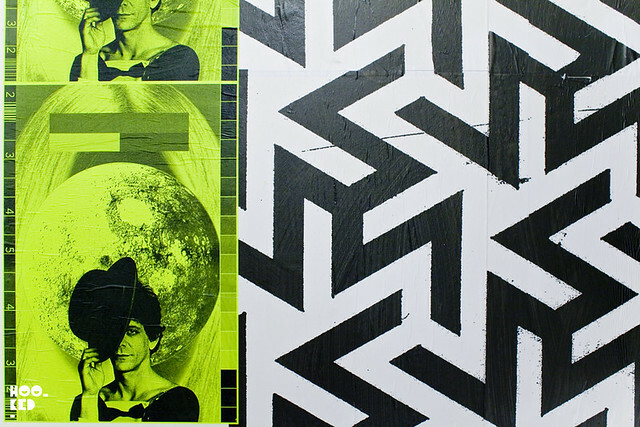 The two artists have been exchanging and remixing images with each other via email over a series of weeks which resulted in a new body of images and collage works which the duo were installing when we hung out with them at the 119 cafe exhibition space in Lower Clapton Road. 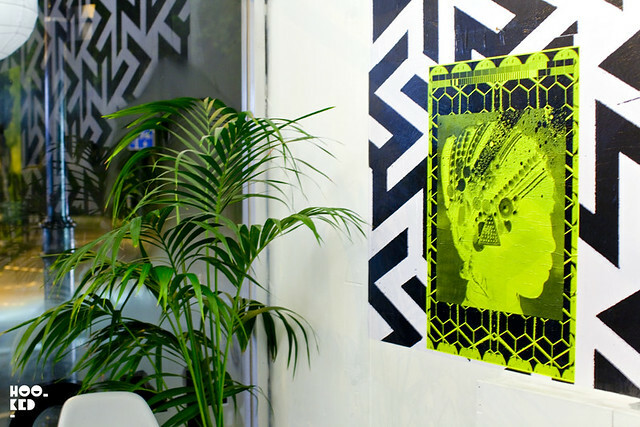 The new collection of neon collage pieces will be on show at the space until the end of December at 119 Lower Clapton. 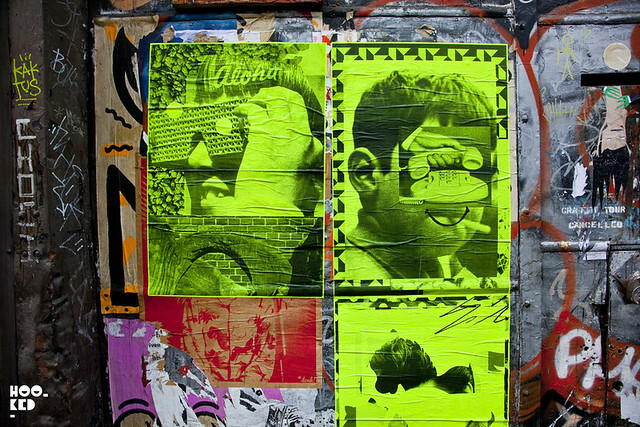 A selection of these collage pieces have also printed out and have been installed on the streets by the artist and can be seen around Shoreditch and the Brick Lane area. The two artists have also produced an accompanying Zine and poster to tie in with Project 119. The zine is hand signed, limited to 90 and is available online now here. Go grab yourself a copy.